Helping Hands Nursing Service | Ready to help provide peace of mind for you by referring caregivers for the ones you love. Ready to help provide peace of mind for you by referring caregivers for the ones you love. Featured / Helping Hands Nursing Service, Inc. Helping Hands Nursing Service, Inc. was founded in 1975 by Kay Holshouser and has been offering professional referrals for private duty caregivers for the past four decades. Since 1995, Helping Hands Nursing Service has been operated by Ruth Huffstetler, and we continue to provide the service that our stellar reputation depends on. During our time in operation, we have been proud to be of assistance to the families of the communities in and around Shelby through referrals from individuals, doctors, hospitals, hospices and nursing homes. We are dedicated to finding the perfect caregiver to match your individual needs, whether it is for just a few hours or for round-the-clock care. All of our caregivers are dependable, knowledgeable and experienced. Each caregiver is referenced and their criminal background is checked. Also for your protection, we are fully licensed and bonded. Our warm and caring Shelby home care providers will provide you with the care and understanding that you need in your home, where you are most comfortable. Elderly Caregivers, Senior Nurse Aids, Home Nurses, 24 hour Nurses in Shelby NC and Home Care Solutions in Shelby NC. 24-hour services are available at any time. If there is a problem, we will coordinate the appropriate action. July 19, 2018 / Helping Hands Nursing Service, Inc.
Senior care not only provides a means of companionship, but it also has its share of health benefits. If your loved one has the company of a senior caregiver, there are numerous ways it can help reduce the chances of making a trip to the hospital. HelpingHandsNursingService.com can help you get the best senior care to fit your needs. June 14, 2018 / Helping Hands Nursing Service, Inc. There is a high demand for caregivers in the current economy as senior care does not have to be limited to a nursing home anymore. Caregivers can help seniors maintain their daily routines while also easing the burden of family members. Here’s a look at the benefits that come with hiring an at-home caregiver. May 15, 2018 / Helping Hands Nursing Service, Inc. It does not always take a doctor to prescribe a remedy for improved health. In fact, this does not require a medical solution. Here are some ways that an elderly caregiver can improve the health of a senior citizen. April 11, 2018 / Helping Hands Nursing Service, Inc.
Caregivers come into someone’s home and immediately play a major role. This can lead to many positive results for seniors as well as their family members. Here are some things to look for in a successful home caregiver. March 7, 2018 / Helping Hands Nursing Service, Inc. Hiring a senior care specialist is a way to provide seniors with a safer, more productive living arrangement. There are practices a senior care specialist can use to help elderly people maintain their health as well as keeping them from suffering any injuries within the home. Here’s a look at some of the ways a senior caretaker can make for better senior living. February 12, 2018 / Helping Hands Nursing Service, Inc. When a patient is released early from a hospital stay, it is usually a positive occurrence. However, many families are often unprepared for this event and have no post-hospital plan in place. With the hustle and bustle of everyday life, coming up with a care plan is not always at the top of everyone’s to-do list. November 29, 2017 / Helping Hands Nursing Service, Inc.
Every senior caregiver is eventually going to encounter a client who is undergoing some form of therapy. It is important to know there are different kinds of therapy for seniors. Physical therapy and occupational therapy both serve different purposes and functions. Helping Hands Nursing Service Inc of NC shares some helpful hints for caregivers. September 29, 2017 July 10, 2018 / Helping Hands Nursing Service, Inc. Proper home care for an elderly person requires more than just the essentials of keeping them safe, nourished and busy. It should also strive to help seniors maintain their independence as that is an important part of the aging process. Here are some helpful ways to ensure that kind of independence. August 15, 2017 July 10, 2018 / Helping Hands Nursing Service, Inc.
Home care for the elderly is not defined with one specific option. Living arrangements differ from one family to the next, although home nursing care is a solution that can help in all types of situations. Here is a look at some of the different home care options from Helping Hands Nursing Service Shelby NC that can work for you and your loved one. July 17, 2017 July 11, 2018 / Helping Hands Nursing Service, Inc. Helping Hands Nursing Service is more than a business that provides top quality senior care. That fact is evidenced by more than just a mission statement. The Helping Hands Nursing Service Shelby team continues to stay active in the community, promoting the kind of good will that has become synonymous with the company. June 26, 2017 July 12, 2017 / Helping Hands Nursing Service, Inc. Elderly care offered by a home care specialist can enhance the quality of life for you or a loved one. However, proper care is not just limited to hiring an elderly care specialist. 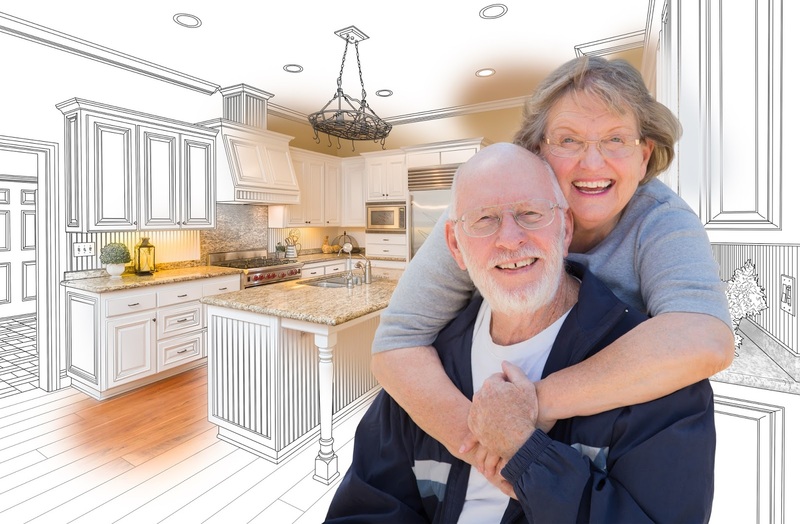 Here is a look at some ways to make a home more senior friendly. April 28, 2017 / Helping Hands Nursing Service, Inc.
Social media has no age limit or requirement. Anyone of any age can enjoy all the benefits social media has to offer by utilizing Facebook, Twitter, Instagram and more. Helping Hands Nursing Service of Shelby shares how social media can benefit seniors in elderly care. January 16, 2017 March 1, 2017 / Helping Hands Nursing Service, Inc.
October 20, 2016 March 1, 2017 / Helping Hands Nursing Service, Inc. Hiring a senior care specialist is a way to provide seniors with a safer, more productive living arrangement. There are practices a senior care specialist can use to help elderly people maintain their health as well as keeping them from suffering any inju ries within the home. Here’s a look at some of the ways a senior caretaker can make for better senior living. A simple walk outside is a great form of daily exercise. Seniors are more prone to take that walk when they have someone to accompany them. On rainy days, exercise can take place indoors as something as simple as stretching can work to improve a senior’s mobility and flexibility. September 28, 2016 March 1, 2017 / Helping Hands Nursing Service, Inc.
a professional nursing aid or elderly caregiver. August 31, 2016 March 1, 2017 / Helping Hands Nursing Service, Inc.
June 27, 2016 March 1, 2017 / Helping Hands Nursing Service, Inc.
May 25, 2016 March 1, 2017 / Helping Hands Nursing Service, Inc.
May 13, 2016 March 1, 2017 / Helping Hands Nursing Service, Inc.
Home care for the elderly is not defined with one specific option. Living arrangements differ from one family to the next, although home nursing care is a solution that can help in all types of situations. Here is a look at some of the different home care options from Helping Hands Nursing Service, Shelby NC that can work for you and your loved one. May 4, 2016 March 1, 2017 / Helping Hands Nursing Service, Inc.
Home care is just another convenient benefit provided by Helping Hands Nursing Service. Home care includes more household duties which are performed in our clients’ actual homes. From a little dusting and light organization around the house, to helping put together the perfect meal or snack, our experienced caregivers will be there to support you every step of the way. April 25, 2016 March 1, 2017 / Helping Hands Nursing Service, Inc.
April 13, 2016 March 1, 2017 / Helping Hands Nursing Service, Inc.
March 31, 2016 March 1, 2017 / Helping Hands Nursing Service, Inc. Hiring a caregiver to look after a loved one is something that should require careful thought. When conducting a search for potential elderly caregivers, here are some necessary qualities to look for. March 17, 2016 March 1, 2017 / Helping Hands Nursing Service, Inc.
March 9, 2016 March 1, 2017 / Helping Hands Nursing Service, Inc. Nursing Service, Home Care, Elderly Caregiver, Senior Care | The Helping Hands Nursing Service in Shelby NC has been serving Cleveland county for 40+ years! February 29, 2016 March 1, 2017 / Helping Hands Nursing Service, Inc.
Winter weather could mean lots of time spent indoors, especially for senior citizens. Senior home care can still include some fun things to do during the winter months without having to leave the house. Here are some examples of ways that seniors can pass the time during the winter months. February 18, 2016 March 1, 2017 / Helping Hands Nursing Service, Inc.
October 19, 2015 March 1, 2017 / Helping Hands Nursing Service, Inc. Being chosen or volunteering to be a caregiver for an elderly or sick member of the family seems like a good idea to save on costs and also give back to family. However, this role soon takes its toll on the caregiver. Many caregivers often develop health conditions while carrying out their duties. Several studies have found that a huge percentage of the number of people who work as home caregivers for elderly members of their family are likely to develop certain health conditions. These conditions might not be life threatening. However, they negatively affect quality of life and can eventually lead to other more serious conditions. Common health issues that people who take care of elderly family members are likely to develop include stress and depression, anxiety and other psychological conditions. One reason why caregivers suffer from these conditions is the natural bond that develops between the caregiver and the person being taken care of. Humans will naturally designed to react emotionally to certain states occurring in others. If the condition affecting the person being taken care of worsens or creates anguish, the caregiver will instinctively feel it. Frequent exposure to such conditions will lead to physical and psychological strain. Given the rising cases of caregivers being diagnosed with health issues directly related to caregiving, this role has been identified as a public health concern. The health effects aren’t just experienced by the caregivers. It will reflect on the person being taken care of. This then starts a cycle that spreads gradually through the family. In the end everyone will be affected. So while selecting a family member as a caregiver might seem very economical, it might turn expensive if the entire family’s health is put at risk. Researchers and medical professionals offer a better way to prevent this through the home care profession. Professional elderly care practitioners undergo training which allows them to be able to cope with the strains that come with the role. Their role helps to provide relief to both family members and the elderly person being taken care of. They are trained to work well while also avoiding the Caregiver Stress Syndrome. This condition usually affects home caregivers who give too much in ensuring that an elderly person lives comfortably that they neglect their own well being. For families that are facing the challenge of taking care of their elderly, getting help from home care professionals is recommended. Many families often shy away from making use of this service because they believe that it shows neglect on their part. This is far from the truth. Home care services have evolved over the past decade to ensure that senior members being taken care of live comfortably in an environment where they feel loved and appreciated. In addition, these services have helped entire families cope with having to take care of their loved ones. If your family is looking for professional elderly care services, Helping Hands Nursing Service is here for you. The institution is home to highly trained senior care professionals who love working with the elderly. Contact us today and be sure that your senior family members are well taken care of.